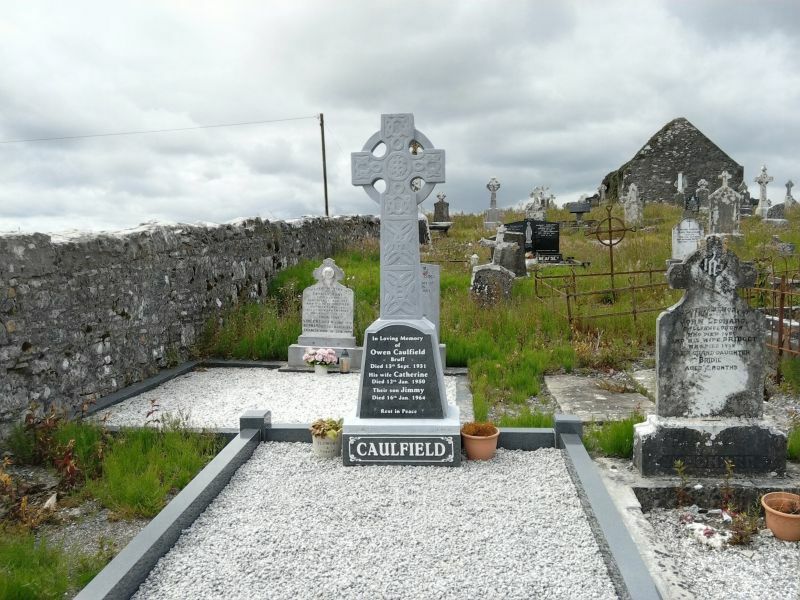 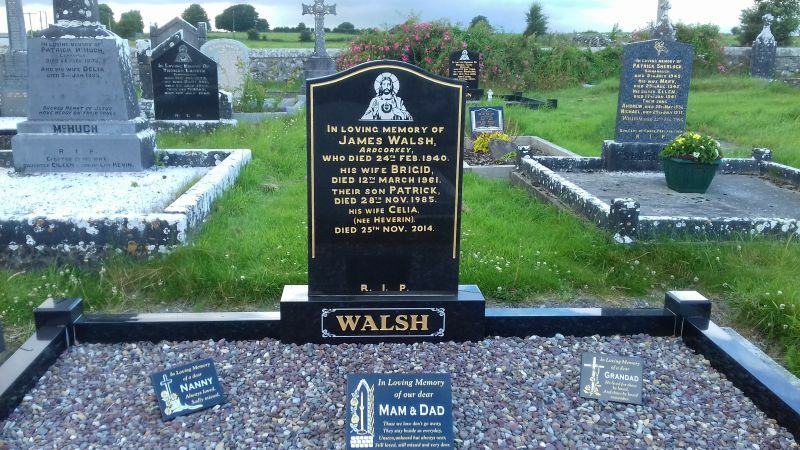 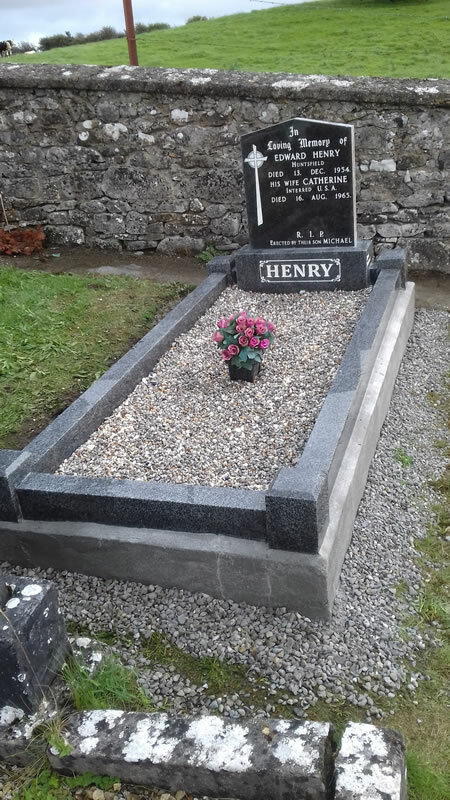 At Byrne Monumental Works we offer a full renovation and cleaning service which includes restoration of old limestone and marble headstones and surrounds. 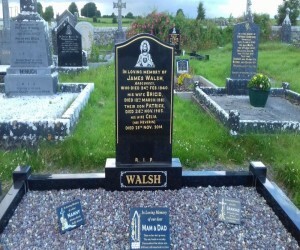 This is done by sandblasting the existing headstone or surround and re-painting or re-gilding the existing lettering, restoring them to as good as new! 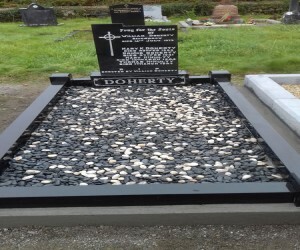 Also very common is to replace the old existing limestone or concrete surround with new granite while keeping the existing headstone. 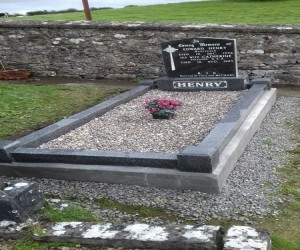 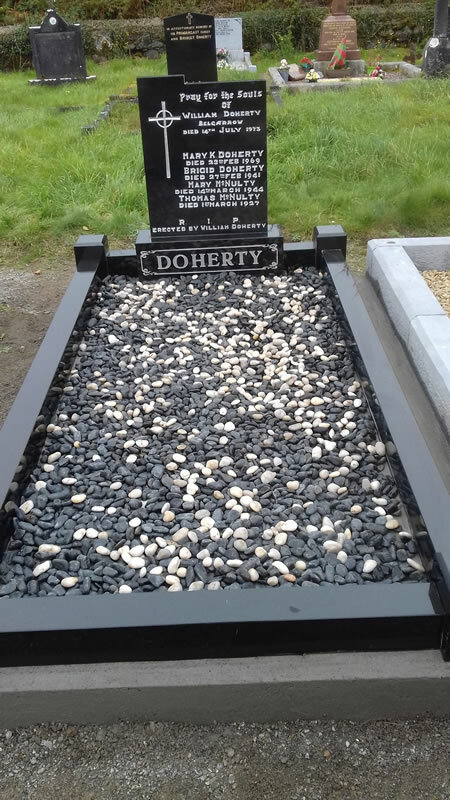 We can replace the existing surround to a granite surround and match it to the colour of the existing granite headstone; we also have new grey and white granites to match the colour of grey limestone and white marble headstones.